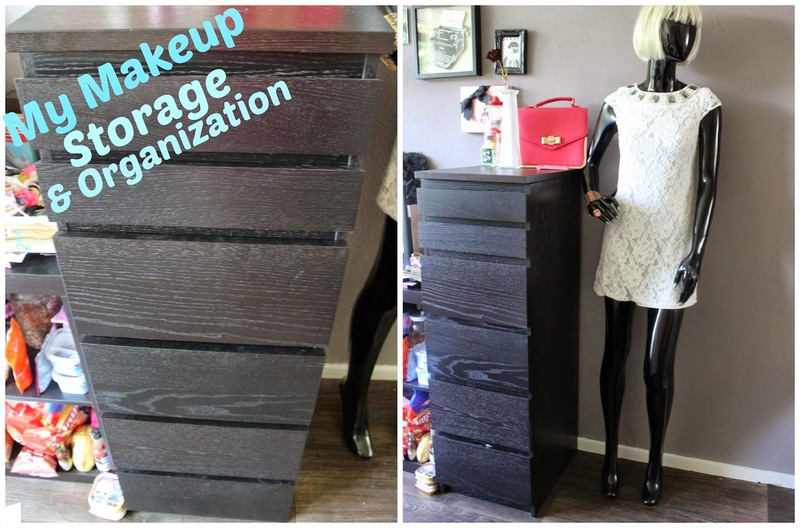 today I'm going to share how I storage & organized my make up . Mostly when you see these videos or articles about how people organized and storage their make up it look unrealistic. Today I'm going to show you the bold and honest truth of how I storage & organized my make up. The video is posted at the end of the article && here are just the pictures. The top part of this storage unite is not really a drawer, but here I storage my accessories. The top drawer is filled with my lip product. The second drawer is filled with single eyeshadows, blushes, bronzers & translucent powders.. The third drawer is filled with everything hair or shower related. The fourth drawer is filled with everything make up, from blushes to mascaras, to cream eyeshadows to eyeshadow palettes. The fifth drawer is filled with nail polishes. The last and sixth drawer is filled with random beauty related stuff. How do you storage & organize your make up? haha I know right! && thank you! Das ist ja mal eine Stolze Lippenstift/Gloss Sammlung! I wish I could be this organised! I'm way too messy! Ahh... thank you ofcourse I will support you!